At dusk this evening a keen group of bat detectives set off on dark and eerie mystery trail around Kings Weston Estate with the hope of tracking down some of the UK’s 12 native bat species. Led by David Brown with the assistance of fellow bat detector Claire Shellis, the group set off and within about 400 yards of the house we spotted our first flying mammal! Our hand-held bat detectors started to buzz and we turned our heads to the skies where, right above us, a common pipistrelle bat was darting around hunting for insects. Thrilled by our our first sighting, we carried on walking to find just around the corner a myotis species flying overhead. Our bat detectors were making very different sounds compared to a few moments ago. Bats use high frequency calls, most beyond the range of our human ears, in order to build up a picture of their surroundings, allowing them to hunt for their insect prey at night. Claire explained that the reason why we were hearing different noises from our bat detectors was due to the different frequencies of call used by the two bat species – whereas the common pipistrelle makes a slapping wet sound, myotis species produce a much more dry sound. As the darkness really started to settle in and the woodlands became eerier, our bat detectors suddenly started producing a much more irregular sound. David soon revealed that what we were hearing was the calls of a serotine bat, which are easily recognisable as they never seem to get into a rhythm! A low flier, the serotine certainly kept the group on their toes! 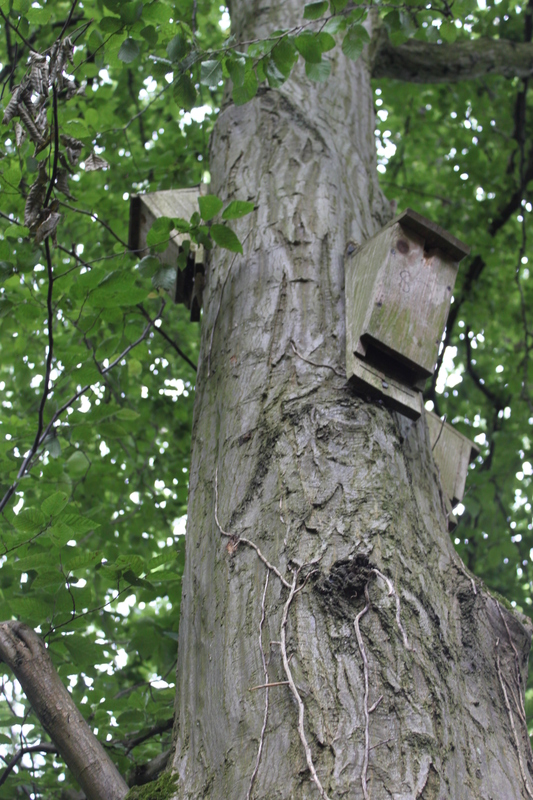 And if you thought that bats only came out when birds went to bed, you are mistaken!The woodpigeons were particularly active on our brisk walk back to the headquarters at Kings Weston House…! 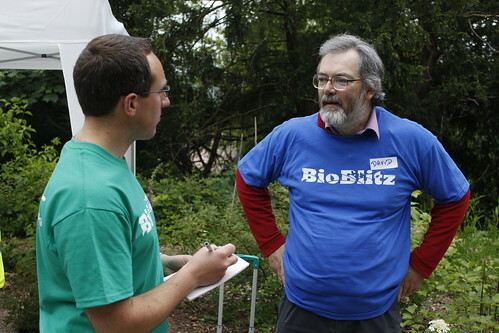 That’s all from day 1 of the Bristol BioBlitz 2013. We are off to recharge our camera batteries so we can keep you posted on all the activities planned for tomorrow as well as keeping our eye on that all important species total! We’re gearing up for an exciting evening of activity, with BioBlitz running into the night with the moth and bat walks. Will you be joining BioBlitz this evening? 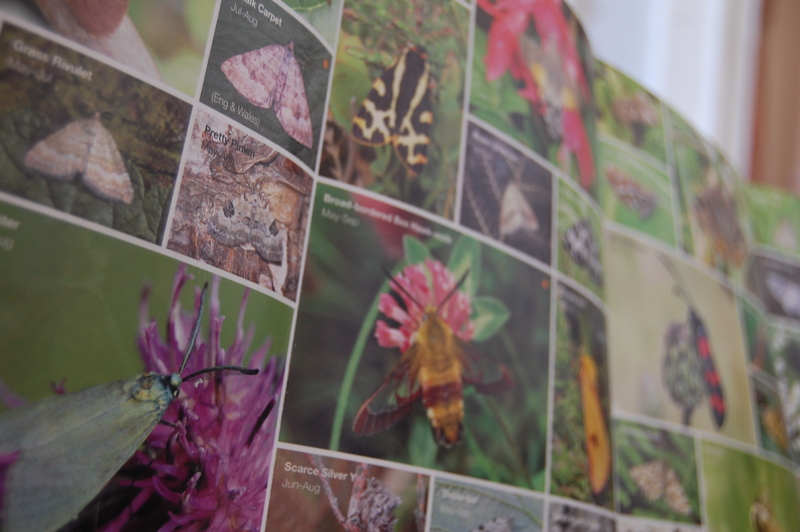 How many species will you discover?! I’m David. I’m a bat expert and will be leading the ‘bat walk’ from 8.30pm this evening. 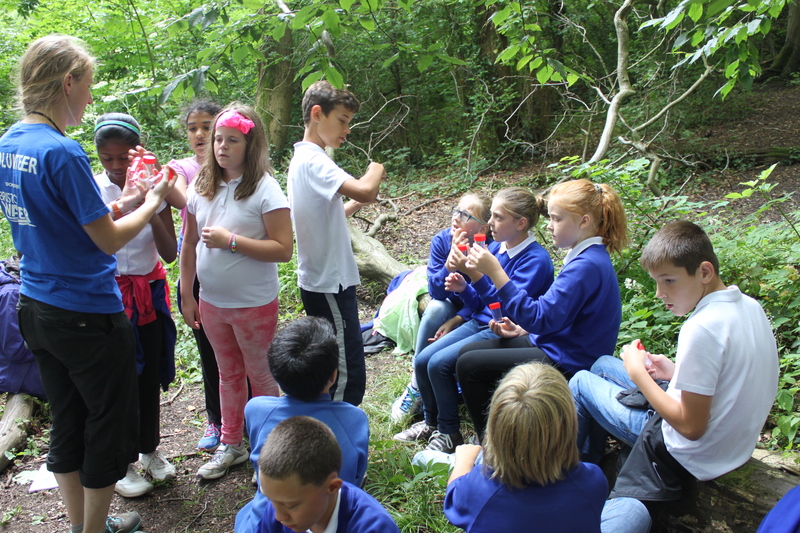 We’re going to see lots of bats, which we’ll find with the help of our special bat detectors. I’m hoping we’ll see some serotines, which fly very low and so are great fun to watch. The brown long-eared bat, definitely.